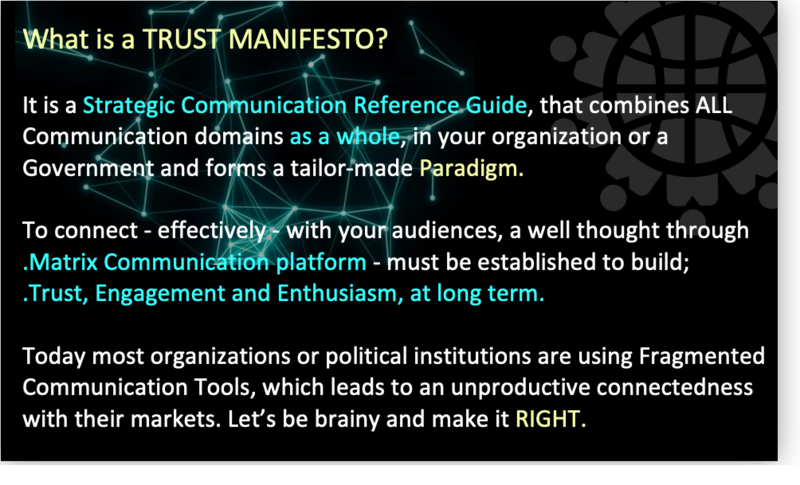 CICO value proposition is that well designed, Strategic Communication is an essential tool that build trust and preserve, protect and propel business merit. In today’s fragmented media world, where technology enables target audiences to control what, where and when they experience their needs, traditional methods of reaching your audiences aren’t enough. Organizations of Brands and communication strategists need to make Deeper Connections to break through. CICO makes those effective and lasting connections. 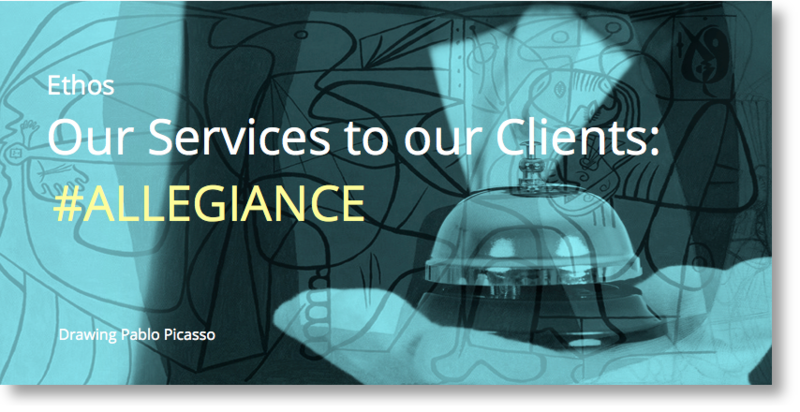 As global citizens, our policies and practices align with our clients expectations for the highest quality service, ethical standards for ourselves and our business partners, responsible procurement and business continuity. Our success lies in the ability to Innovate and to Identify Solutions by means of reframing patterns, and forming the Right Paradigms for our clients to provide the best Communication counsel available. 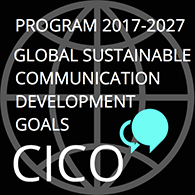 CICO 2017: 67th annual Conference of the International Communication Association San Diego USA. Creativity is the act of turning New and Imaginative Ideas into reality. 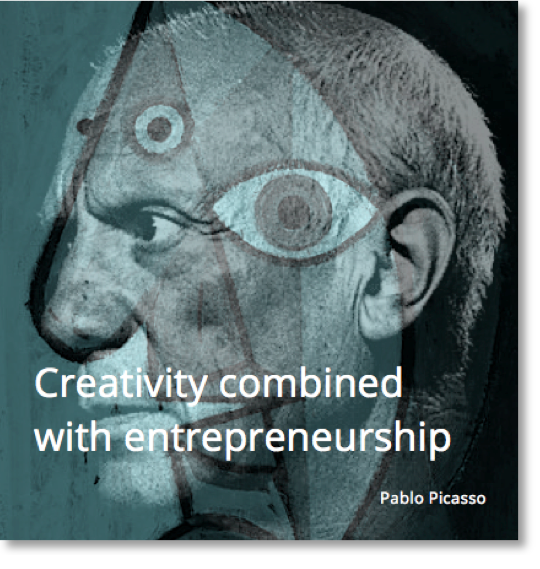 Creativity is characterised by the ability to Perceive the world in New Ways, to find hidden patterns, to make connections between seemingly unrelated phenomena, and to Generate Solutions. Creativity involves two main processes: imaginary thinking, and a fitting production. CICO: Shanghai 2018, a Western Pacific Region Project for the UN. 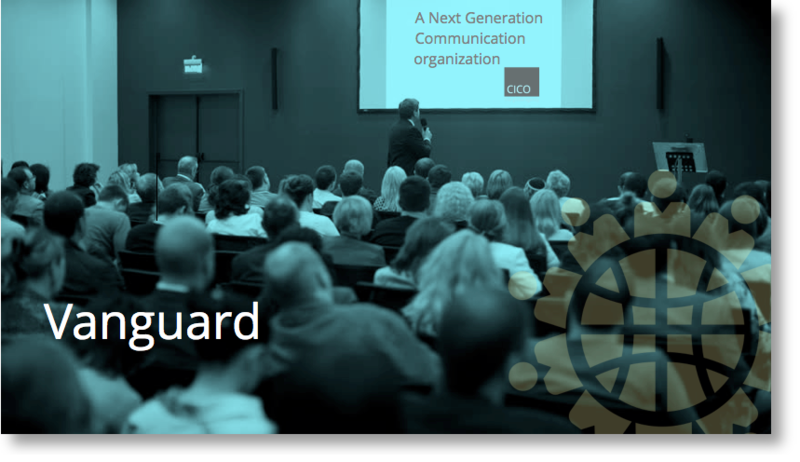 CICO: makes your Communication project Stand Out. 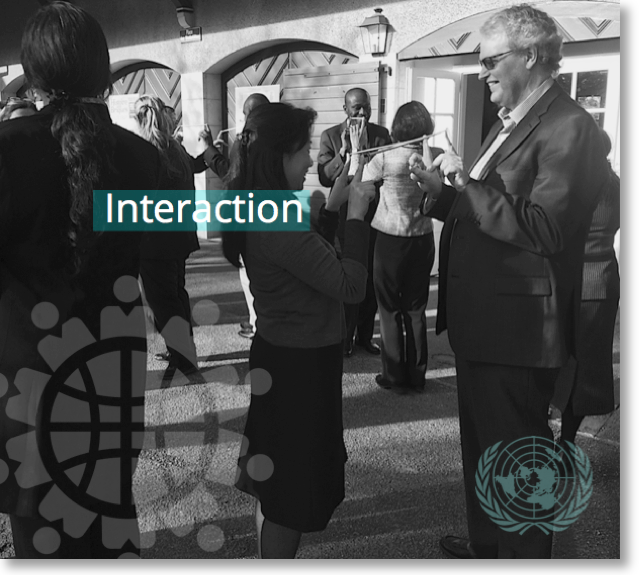 CICO performing global workshops for the United Nations in Switzerland Geneva. CICO build a unique resource of concentrated specific expertise. CICO helps its customers to grow rapidly through the use of the CTOOL First Choice Methodology, (check – ORDER). Our quest is to bring your business to the highest level of success. A Result Driven Approach combined with a highly strategic creative vision, makes your organization, product service, or governmental project stand out at its best. 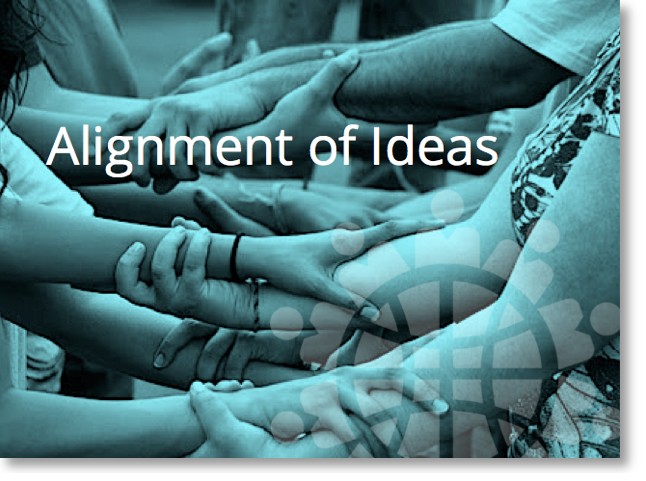 People with Connectedness can build a Bridge of Understanding, spin connections of meaning that others can Envision. People with Connectedness see events, interpersonal interactions and emotional elements, all coming together to create a picture that would never be formed alone. They are often weavers of compelling and dynamic stories. 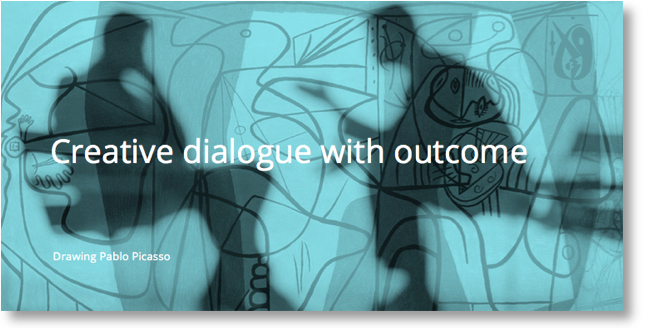 Creative dialoguing begins with building the RIGHT Communication Framework. CICO sponsorship International Leadership Program. Brainstorming – Global issues / Windsor Castle England. The International Leadership Programme (ILP) is a 12-month program inspiring young people aged 25 to 35 to develop leadership skills to make a Positive Impact in their local communities. The program began with the International Summit, which brought together 80 international Young Leaders aged 25-35 to participate in a two week residential training conference, featuring World-Renowned Leadership trainers and speakers. The Summit includes leadership skills workshops, inspirational sessions on Global Issues such as Poverty and Sustainability, and visits to projects in the local area which demonstrate Thought Leadership In Action. As globalization is reshaping our world, businesses, scholars and policymakers are exploring much-needed New approaches to the Transnational Movements of ideas, people, commodities, and technologies as well as the cultural, political, and economic processes that underlie them. Forming Global Thought into Global Solutions, offers the opportunity to different parties to create a New framework for understanding globalization and for developing New ways to rethink about sending out messages through well built Communication Plans. CICO helps you developing them with great veracity. Aerospace & Defence . Consumer Packaging Goods . Education . Energy . Financial Services . Food & Beverage . Health . Life Sciences . Metals & Industrial Equipment . Nonprofit . Retail . Speciality Chemicals . Sports & Entertainment . Technology . Telecommunications . Transportation . Travel & Hospitality . Real Estate . Fashion . City Marketing . Governmental and Political Communication. Crisis Communication . NGO . Capital Markets . Research & Development . Talent Services . Climate & Environmental . Political . Non-Political . Governmental . Non-Governmental . Commercial . Informational/Communication . Advertising . Corporate . Marketing . Employer branding . Internal . Financial . Press . Organizational culture . ICT strategy – Communication Programs. Communication audits . 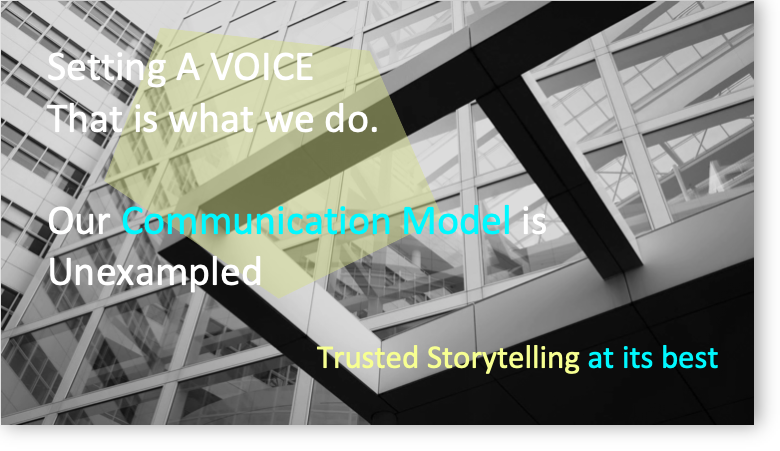 Developing Strategic Communication Frameworks & – Models . Reinventing Corporate identity / Corporate image . Advertising . First Choice Methodology / CTOOL . Business & commercial Communication . Political – Non-Political . Governmental & Non-Governmental Communication (non-or related). 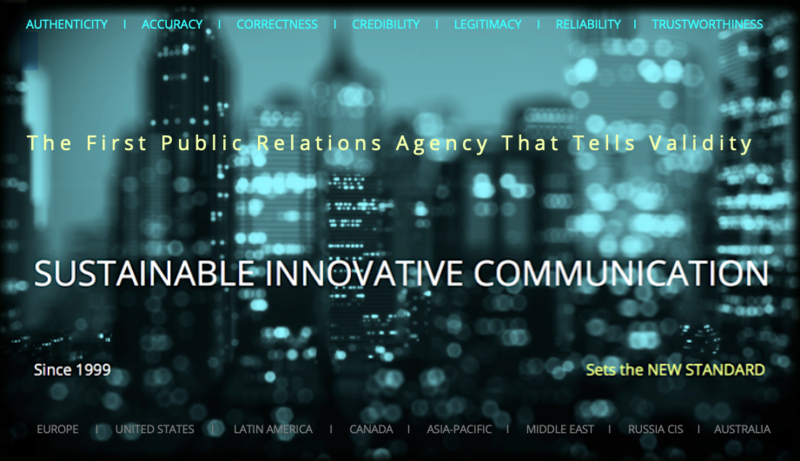 Globalizing Corporate Communication . Corporate identity guidelines . Corporate image guidelines . Corporate internal guidelines . Communication plan . Corporate culture . Workshops . Training . Coaching . Communication assessment . Communication techniques . Communication methods . Human capital empowerment . Brand creation . Crisis Communication management . Testimonial management . Journalism . Public relations . Copywriting . Social media . Fairs . Events . Translations . Graphic development . Strategic consulting . Webdesign . Media strategy . Media planning . Media purchase . Photography . Video . E-commerce . App application . Digital strategy . Digital development . Product placement . Press lobby . Campaign coaching . Market research . City marketing . Fashion Communication . Brand entertainment . 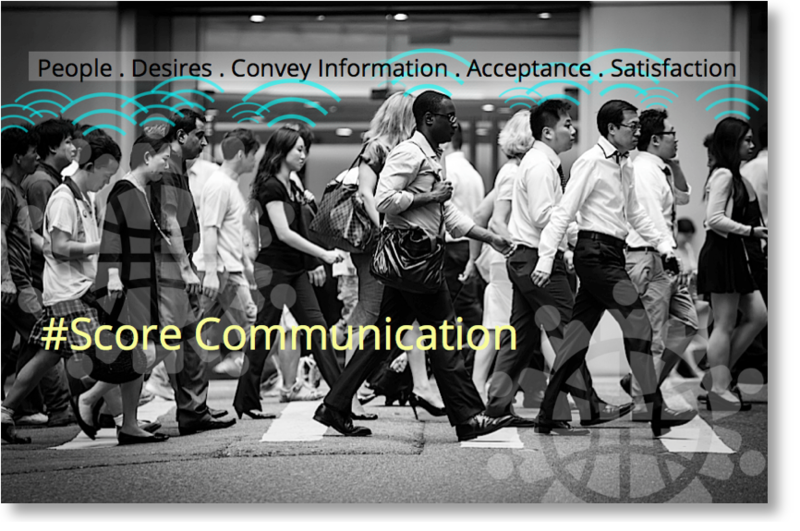 Business to business Communication . Citizenship & CSR . Executive Leadership coaching services . Litigation communication . Media relations . Public health . Science Communication . Stakeholder mapping & engagement . CEO transition Communication . B2B Marketing . Band Journalism . Branded entertainment . Business Transformation . Community Management . Corporate Reputation . Crisis & Reputation Risk . Data Security & Production . 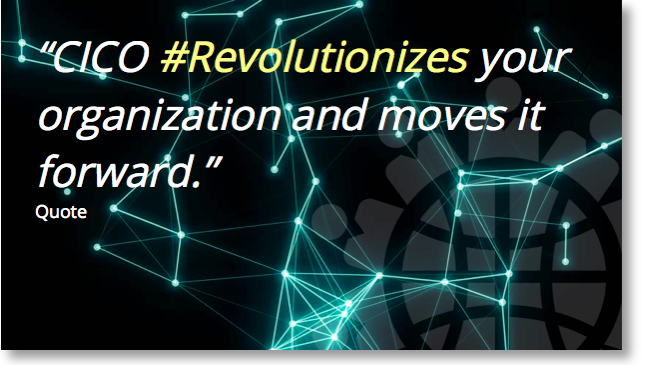 Digital Transformation . Employee Experience . Experiential Marketing . Executive Positioning . Financial Communication . Capital Markets . Influencer Marketing . Measurement & Analytics . Media Purchase & Relations . Performance Marketing . Public Affairs . Search & Data Analytics . Social Impact Communication . Talent Services. GLOBAL TRANSFORMATION SERVICES: Computing & Cloud . Network Security . Security Response. IT INFRASTRUCTURE MANAGEMENT SERVICES: Server / Network / Helpdesk Services. MOBILITY SOLUTIONS: Mobile Application Development . Mobile Commerce Enablers . Gaming . APPLICATION LIFECYCLE MANAGEMENT: Application Development / Maintenance / Migration. CLOUD SERVICES: Cloud Computing . Assessment . Migration . Development. DIGITAL INTEGRATED MARKETING SERVICES: Digital Asset Marketing / Behavior GEO Fencing Technology / Frameworks / Social Media Consulting & Marketing . CRM . CMS . Survey solution . SEO TECHNOLOGY: Tag Management . Ad words . Search Engine Campaign. ANALYTICS: Data Analytics Services . Data Curation Services . Web Analytics . Conversation Analytics. DATABASE METHODOLOGY: Crowdsourcing . Data aggregation. Personalized Email. FACILATE SALES SERVICES: E-Commerce . Campaign ROI Analytics . Customer Review and Feedback Analytics. ACQUIRE / SEGMENT: Online Survey Platform . Web Forms . ETL / Data Migration . Data Solutions . CRM / SEM / PPC . Data Aggregation – Analytics Platform. USA . South America . Europe . China . United Arab Emirates . Africa . Russia . Canada . Australia. 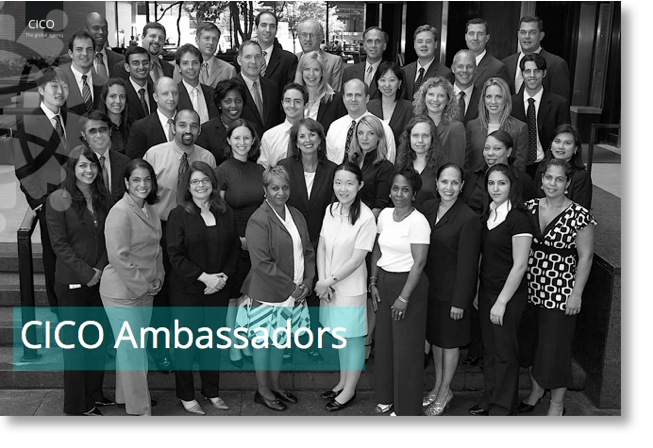 CICO Ambassadors are engaging every day. Each conversation has an impact. You may not see it at first. It takes place inside of us at the speed of .07 seconds. The Quality of conversations does matter. Quality Conversations establish the environments and readiness to support innovation, to foster partnering, to elevate trust, to connect with a constructive mindset and to enhance relationships. CICO commit itself to work only according the Highest Quality level to deliver outcome.